How good is your whisky knowledge? 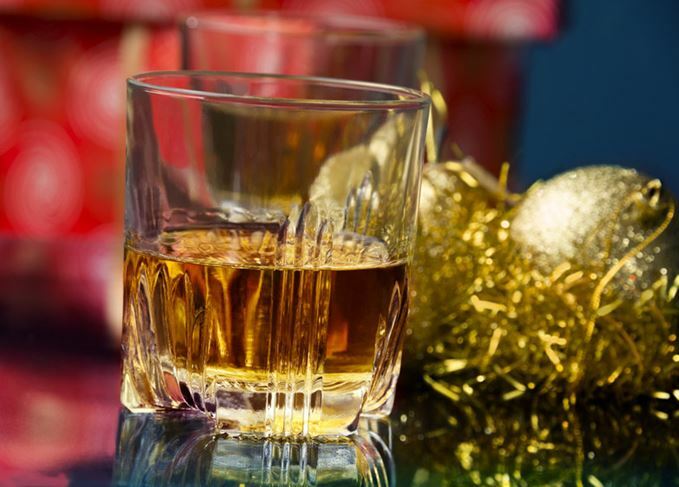 Before you settle in for some festive indulgence and post-Turkey inertia, take our Christmas Whisky Quiz to see how much you really know. It’s that time of year again, so grab a dram and a mince pie and settle in for the Scotchwhisky.com Christmas Whisky Quiz 2017. We’ve compiled 20 questions designed to test your basic whisky knowledge, as well as how much you’ve been paying attention to whisky news this year. If you don’t know the answers, all can be found by searching Scotchwhisky.com, or by scrolling down to the bottom of the page (but that would be cheating, wouldn't it?). Think you know whisky? Let us know your score by leaving a comment on our Facebook, Twitter or Instagram pages. 1. In December, auction house Christie’s sold a 62-year-old bottle of whisky for £114,000 – its most expensive bottle ever. Which brand was it? 2. What was the name of Glenmorangie’s Eighth Private Edition, released in January? 3. Which well-known whisky personality joined the new Ardnahoe distillery project on Islay in February? 4. Where was a fake whisky operation of an ‘unprecedented scale’ uncovered in February? 5. Macallan’s new distillery (pictured above) officially began production in November. Its subterranean design has been likened by some to the home of children’s TV favourites the Teletubbies, but what really inspired the design? 6. Why was the Ardbeg Day release this year named ‘Kelpie’? 7. Drops of the world’s oldest whisky were added to £37,000 Louis Monet watches in March. When was the whisky distilled? 8. A collection of Macallan bottlings set a new world record for the most expensive lot of whisky sold at auction, but what was the hammer price? 9. What was the name of Diageo’s ground breaking blended malt in this year’s Special Releases? 10. Which classic film was remade in 2017 featuring Eddie Izzard (see image above)? 11. In December, Johnnie Walker partnered with prominent street artist Tristan Eaton to design a series of limited edition gift packs that were shaped like what? 13. Bars around the world celebrated Old Fashioned Week in November. What three ingredients make an Old Fashioned cocktail? 14. What are the five official Scotch whisky regions? 15. Which distillery announced its intentions to release its first whisky in 2018 (see picture above)? 16. In August Bruichladdich released Octomore 08.3 – the world’s ‘peatiest’ whisky. How does whisky get its peaty flavour? 17. The latest expression in Glenfiddich’s Experimental Series was called Winter Storm. What inspired the name? 18. The revival of three ‘lost’ whisky distilleries was announced in October. Which ones are they? 19. Loch Lomond’s islands inspired the names of which three whiskies from Loch Lomond distillery? 20. How much did a Chinese hotel guest pay for a dram of 1878 Macallan, before realising it was a fake? The bottle of Dalmore Kildermorie contained single malt matured in 1868, 1878, 1926 and 1939. The whisky’s name was taken from the Scots Gaelic meaning ‘baked’, a nod to the use of Madeira casks used in the process. The former Bruichladdich master distiller came out of his brief retirement to join Ardnahoe as production director. The ‘sophisticated’ operation was uncovered at a London residential address following a tip-off from an auction house, through which he attempted to sell hundreds of thousands of pounds of fake whisky. The new £100m distillery has been designed by architects Rogers Stirk Harbour + Partners, and began distilling trials in November. While we understand some distilleries to be experimenting with submerged maturation, Ardbeg Kelpie was matured on dry land, and simply named after a legendary water demon living in the Atlantic Ocean. The bottle of 1862 Old Vatted Glenvlivet – reputed to be the oldest whisky in the world – was sourced from spirits collector Sukhinder Singh, owner of The Whisky Exchange, and added to 60 watches. The collection included the Macallan in Lalique Pillars Series, and more than doubled its pre-sale estimate when it went to auction in Hong Kong. The blended malt contains whisky from all 28 active malt distilleries in Diageo’s portfolio. Originally produced in 1949, Whisky Galore! is a retelling of Compton Mackenzie’s tale of whisky, love and determination inspired by the real life shipwrecking of the S.S. Politician. The modern remake was produced by Gillies MacKinnon (Small Faces, Trojan Eddie) and starring Gregor Fisher (Love Actually) and Eddie Izzard (Ocean’s Thirteen, Victoria & Abdul). Yep, Johnnie Walker has released its first whiskies bottled in spray cans. Bunnahabhain was described by Distell’s malt whisky boss Derek Scott as being the ‘scruffy’ distillery on Islay, as plans to regenerate the site were unveiled in July. The classic cocktail is traditionally made using Bourbon, but any rich, robust Scotch also works in its place. If your cocktail-making game isn’t up to scratch, don’t worry, here are the best London bars to grab yourself a Scotch Old Fashioned. There are five official whisky-making regions in Scotland, as recognised by the Scotch Whisky Association, but many also recognise the Islands as the sixth. Founded in 2005, the Lowland-based, self-sufficient distillery will finally release its first whisky in 2018. There are many ‘alternative facts’ circulating when it comes to explaining how some Scotch whiskies get their peaty flavour. The one true answer is that peat is burned during the drying stage of malting, releasing phenols which attach to the barley grain, flavouring the end whisky. Want to know more about peat? Read this. Glenfiddich’s latest Experimental Series release was named for the icewine casks used during its maturation. Icewine is a style of sweet wine that’s produced from grapes that have frozen on the vine, intensifying their sweetness. Nothing to do with Brian Kinsman’s GOT obsession (as far as we know). Within days of each other, Diageo and Ian Macleod Distillers announced the opening of Brora and Port Ellen, and Rosebank distilleries respectively. The news delighted whisky fans and set Twitter alight. Since the sites closed, whisky from each has become scarce and highly sought after. Situated in Alexandria, Loch Lomond distillery produces a variety of different single malts, grains, and blends. Three of its single malts are named for three of the islands in Loch Lomond itself, an area of outstanding natural beauty and whisky heritage. Only after concerned members of the whisky community saw pictures on social media did a Swiss hotel send its bottle of 1878 Macallan off to be tested. The results deemed it a fake, and revealed it as a blended Scotch from the early 1970s. The whole saga made headlines worldwide. Plenty of tips here on how to keep that much-prized Scotch whisky collection in perfect condition. Whether shooting bottles or a dram, up your whisky photography game with advice from the pros.